There’s an enormous need for Licensed Practical Nurses in several segments of the global workforce. While the greater portion of LPNs acquire steady employment in diverse healthcare settings, a growing number of industries, including the federal government, benefit from their professional services. In the medical arena, LPNs observe patients’ health, provide emotional support, assess patients’ reaction to medication, supervise CNAs, and provide release instructions to patients and their families. LPNs employed in medical offices and clinics may perform administrative responsibilities, such as bill patients, schedule appointments, and work directly with insurance companies. After accumulating a wealth of experience, a few dedicated LPNs make their living by conducting health education and basic awareness in their communities. 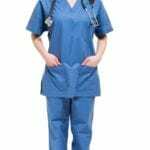 Those individuals who use this career path for initial entry into the workforce, will, through continuing education and training, move on to higher salaries and greater workplace responsibility as Registered Nurses. Aspiring LPNs need to complete an educational program accredited by the National League for Nursing Accrediting Commission (NLNAC) or other recognized agency, pass the National Council Licensing Examination (NCLEX), and apply for licensure with the Indiana Professional Licensing Agency. One of the fastest ways to enter the healthcare industry is through training as an LPN. Many registered nurses and healthcare administrators start their careers as LPNs because training is fast and simple. While the booming healthcare industry with its abundance of prospective jobs is a great reason to pursue LPN training, nursing is not a good fit for everyone. The best nurses are those who enjoy working with patients, demonstrating extreme patience and empathy for the sick and suffering. They can also multitask and communicate effectively with patients and members of the healthcare team. Requirements for drug screening and TB test depend on the training provider. Reputable programs, accredited by the ISBN, Department of Education, Accreditation Commission for Education in Nursing, or the Commission on Collegiate Nursing Education (CCNE), prepare students for the NCLEX-PN, which is a requirement for state licensure. The training covers up to one year of study at Indiana’s community colleges, universities, or private institutions. A typical program includes lectures in the classroom, laboratory experience, and a clinical practicum. Topics covered in the classroom include contamination control, fundamentals of nursing, role and functions of the Practical Nurse, mental health principles, dosage calculations, human anatomy and physiology, adult health and illness. Students learn hands-on skills through the program’s clinical rotations where they work under the supervision of an RN or LPN. There’s a growing trend in hybrid programs, which are attractive to busy, working adults who prefer to complete the didactic training online before commencing the clinical rotation at an approved facility. LPN students earn a certificate or diploma upon completion of the training, which demonstrates their readiness and eligibility to take the NCLEX-PN. Duration and Cost of Training: Expect to spend an average of $33,495 for tuition and supplies. Before paying huge sums for training, ask about the program’s accreditation and the transferability of credits to nursing degree programs at other institutions. Read the fine print to discover all the associated costs of attendance, including supplies for the clinical rotation and enrollment expenses, such as registration, criminal history checks, liability insurance, and other costs. Diploma programs last up to one year. However, it depends on the class schedule and other factors determined by the training provider. The National Council Licensure Examination for Practical Nurses (NCLEX-PN) determines LPNs’ readiness to practice as entry-level nurses. The 5-hour long test contains 117 questions but can increase to 265 questions if the candidate submits incorrect questions. The overall pass rate for the NCLEX-PN exam in 2014 was 72 percent. The following steps outline the process for registration and scheduling the exam after the BON approves the application. Submit your application for licensure with the Indiana Professional Licensing Agency (IPLA). Register for the NCLEX with Pearson Vue and pay the $200 application fee. Registration is available through the Internet, telephone or U.S. mail. Wait for acknowledgment of registration from Pearson Vue – sent via email. The ILPA will grant eligibility through the Pearson Vue system if you’ve met all the requirements for licensing. Pearson Vue will then send the Authorization to Test (ATT) letter. You must schedule and take the test within the appointed time – extensions are not allowed. Schedule your exam using your online login or over the telephone. Take your ATT letter with you on exam day. You’ll also need a valid ID – Passport, U.S. Military ID, US state ID, and US state identification are acceptable forms of ID. The Board of Nursing will send the exam results within 3 weeks of the examination date. Successful candidates will receive a license number to practice as LPNs once they meet all other licensure requirements outlined by the IPLA. Unsuccessful candidates will receive an application to retake the exam. The NCLEX allows candidates to retake the exam 45 days after taking the first exam. License verification is available via the internet at the IPLA’s website. The non-refundable $50 application fee. Candidates must complete the Indiana licensure application and the NCLEX registration requirements before the BON grants approval to take the examination. Application for licensure by endorsement applies to LPNs with an active license in another state. Include the following items along with the completed application for endorsement form. Official documentation of graduating from an accredited nursing program. Verification of licensure through the National Council of State Boards of Nursing (NURSYS) or a Verification of State Licensure Form for jurisdictions that do not use NURSYS. Proof of completion of the NCLEX. LPN licenses expire on October 31 of even-numbered years. The renewal fee is $50 plus another $50 penalty for individuals who fail to renew by the expiration date. LPNs must maintain a current address with the IPLA as the Agency will send renewal notices to the address on record. The online portal allows for easy web renewals using a credit card. There are no continuing education requirements for Indiana’s LPNs. 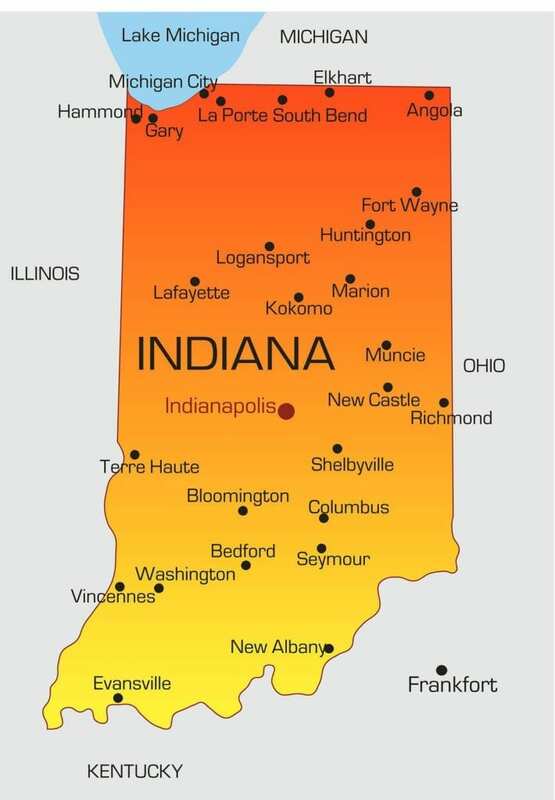 According to the Bureau of Labor Statistics 2014 report, there are 18,400 persons employed as LPNs across various cities in Indiana. The median hourly wage is $19.43 or $40,580 annually. LPNs employed in Indianapolis and other metropolitan areas earn higher salaries than their rural counterparts. LPNs employed in nursing homes earn slightly less than the state average, while those employed in general and surgical hospitals earn more. The BLS estimates that the job outlook of LPNs will increase by 25 percent between 2012 and 2022. Although the job outlook is positive all round, the rate of growth is higher in some sectors than others. For instance, the demand for employment is highest in long-term care facilities and home health care agencies due to the increasing need for senior health care. LPNs with experience and education in geriatrics will qualify for the majority of vacancies.